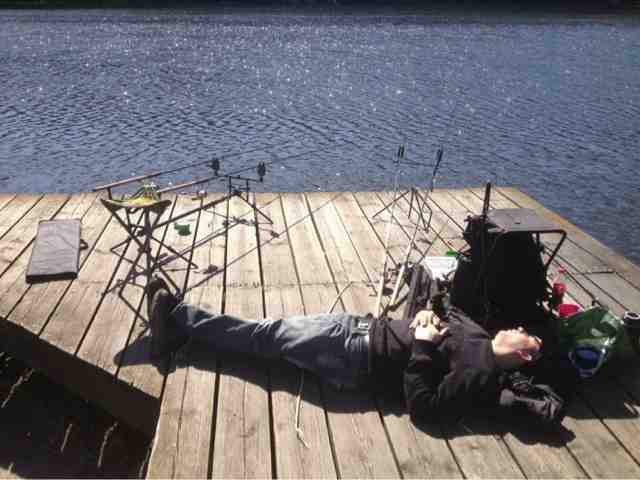 What a days fishing, a full day session over thirteen hours. Things were slow at first, though eventually the groundbait fed into the swim saw fish moving in. Andy Shaw was with me for the day, I had the first good Bream, though it would be his day for that species..
Another Bream, this one on halibut pellet.. 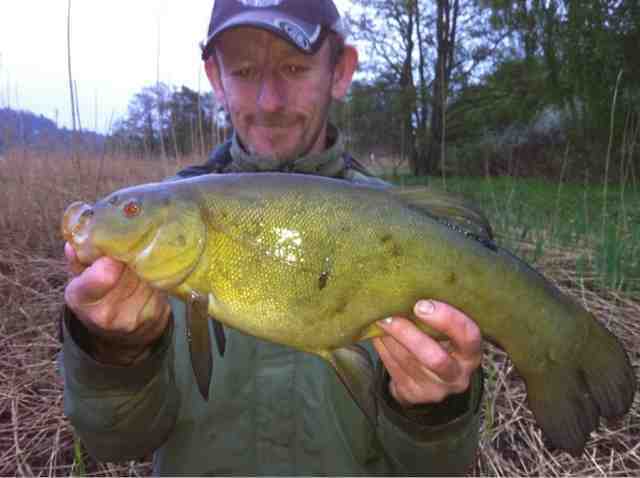 Above;4lb 11 oz Tench, a lovely fish..
A 4lb 12oz fish which came right at dusk.. 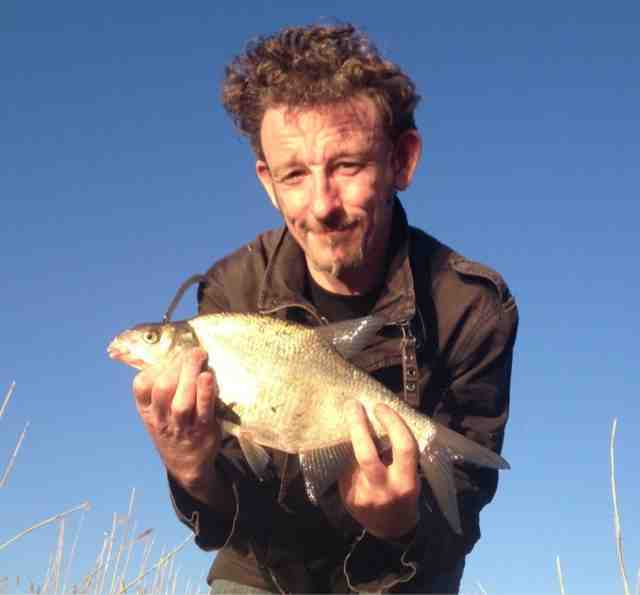 There were a few more bream for Andy, we both caught loads of Silver Vream to around 10oz. 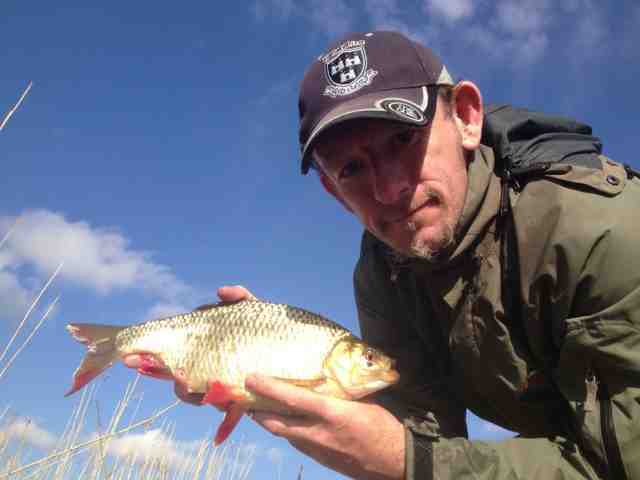 Andy had a roach of around 12oz, I had a respectable Rudd of 1lb 9oz. There were period were it was downright madness, with free biting fish coming constantly. At times it went quiet, though there was so much quality through the day. A fishing session I will never forget, we had a blast. 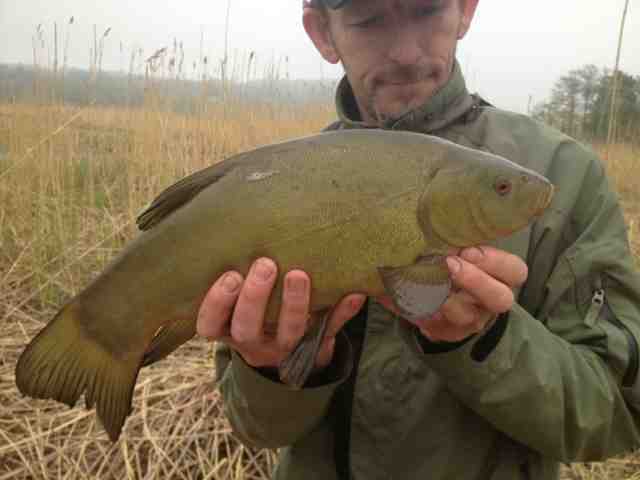 Tench; A brace of Tinca are the first of the year.. 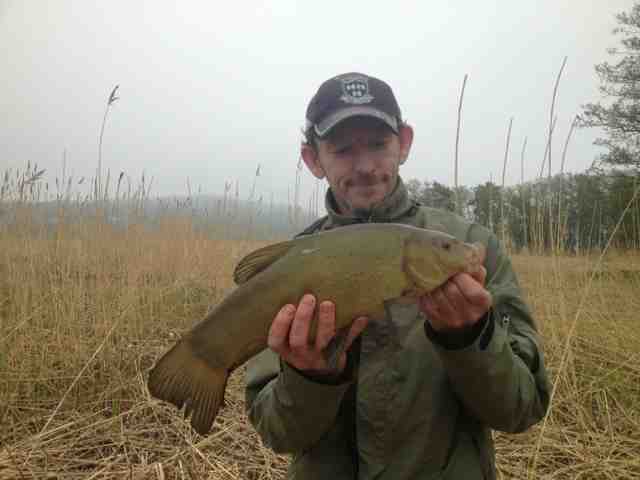 Above and below; 3lb 11oz of pristine Tench, first of the season and very welcome.. 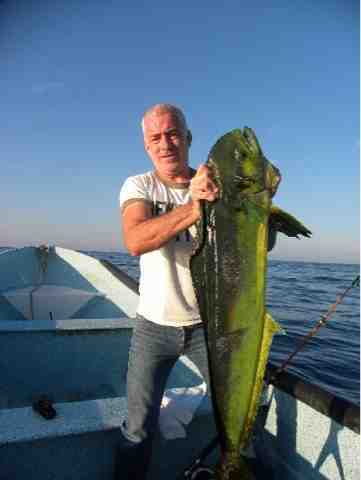 Here's a shot of a monster Dorado caught of the Mexico coast by a mate, Dave Kampf. Good job my son, what a fish that is! 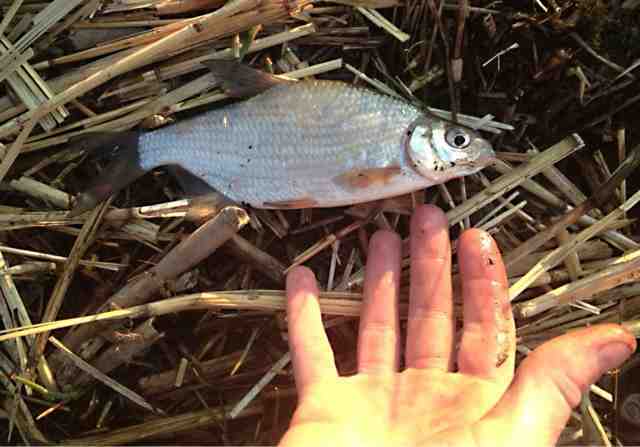 Specimen Rudd; Silver Bream put in an appearance..
An evening back onsite after specimen Rudd. 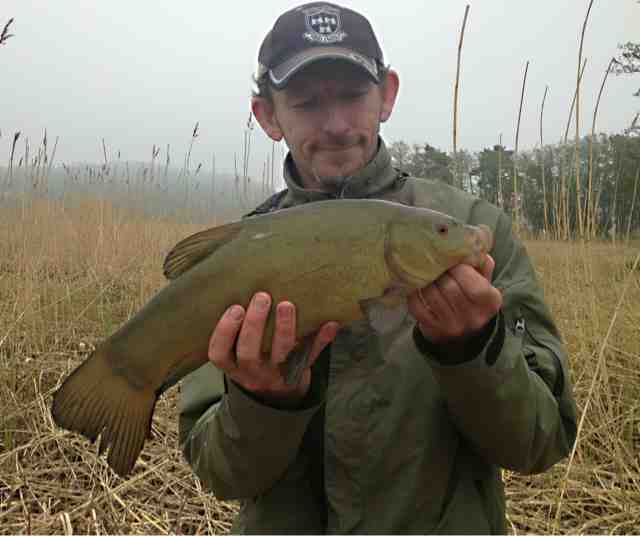 I arrived at 3pm and set up a couple of boilie rigs, whilst on a third rod I set up a helicopter rig again and fished the Redworm/Sweetcorn cocktail bait on a size 10 drennan hook. 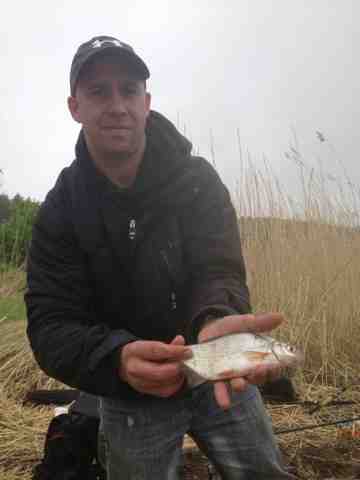 An hour later after a couple of reasonable Bream I hooked a large fish which bored away strongly. The fish showed under the surface and I could see it was another big Rudd. It then dove into the drop off, an all too familiar tactic which has lost me some good fish in this swim. The fish found snags easily in the underwater bank here and the hook pulled out. A tough break, but I fished on. 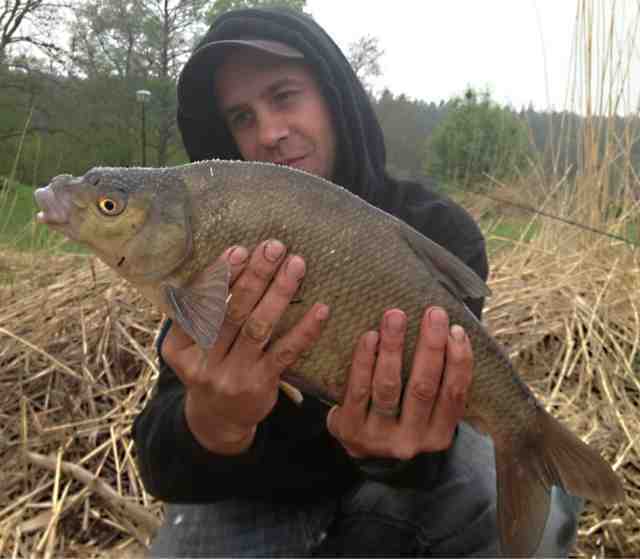 More Bream followed, the largest a little over 3lb., as well as a few Rudd up to 12oz or so. 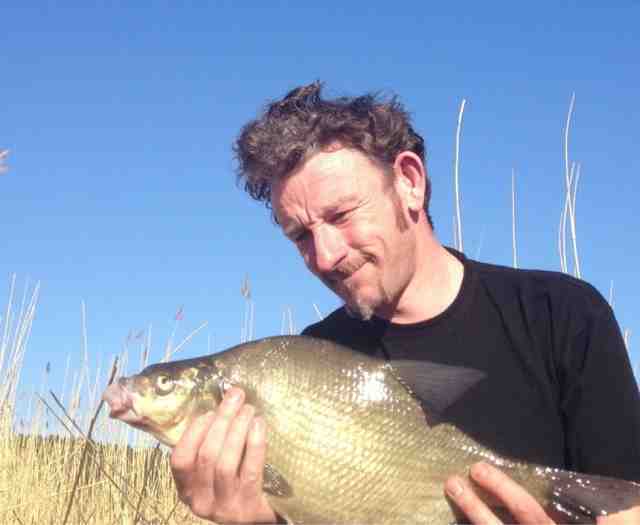 It was around then another species appeared out of the blue in numbers, Silver Bream. These fish came out of nowhere and demonstrated the sites ever changing nature. 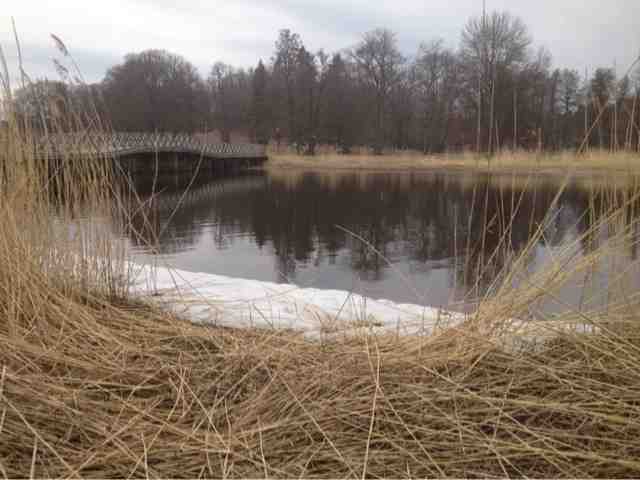 The venue had been fished three days in a row, each day was in some way different from the others. Again, here was another species appearing in the swim, seemingly transient shoals moving into shallow waters pre spawning. 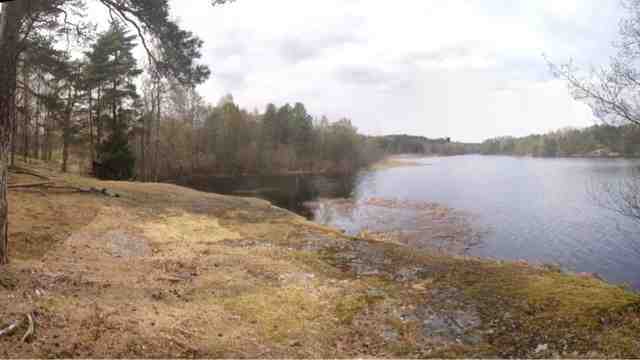 It would be nice to get a big Silver Bream here in the future, a species that doesn't grow huge and perhaps is overlooked and more than a little neglected in Sweden. Ed Bowler arrived around 7pm and after a frustrating time on the waggler with small fish, he decided to concentrate in the leger rod. Not long after that point he struck into a gentle bite and his rod hooped over, bucking as a good fish felt the hook. 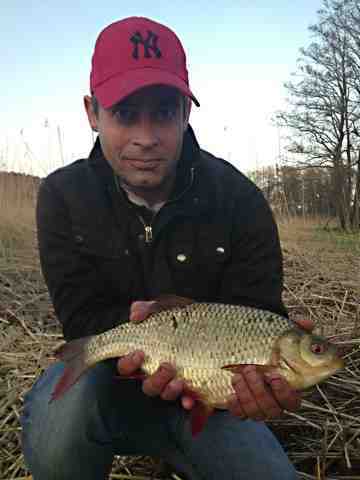 As we hoped it proved a Rudd and what a fish, at exactly 2lb 4oz.! 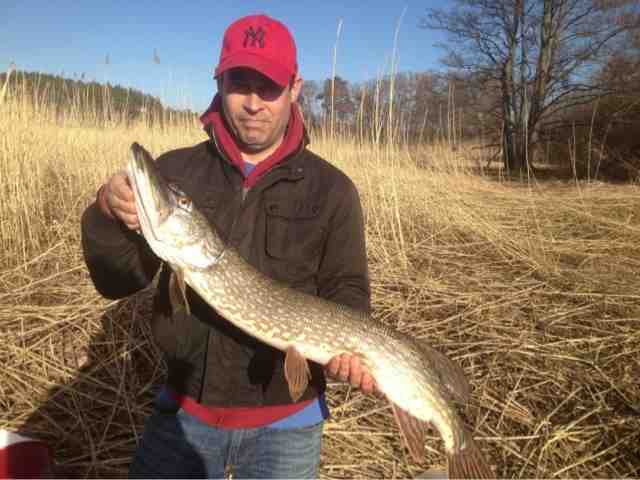 Ed was rightly delighted, the fish dwarfing his previous personal best. The fish was in immaculate condition, hardly a scale out of place and superbly conditioned. Silver Bream. Note the large eyed appearance, silver appearance, reddish pectoral and pelvic fins. 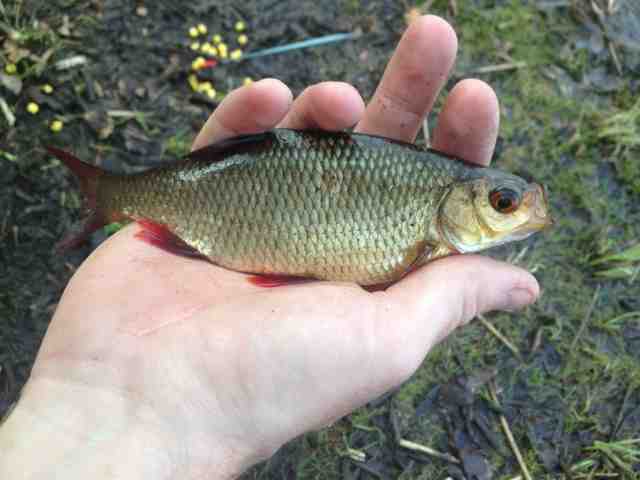 Quite a few caught today, all small specimens. Below; Helicopter Rig, which has accounted for some good fish of late..
Rudd; a new personal best and four Two pound plus specimens! Again with one eye one a four hour period coinciding with the moon zenith I waited. A couple of good Bream came first. 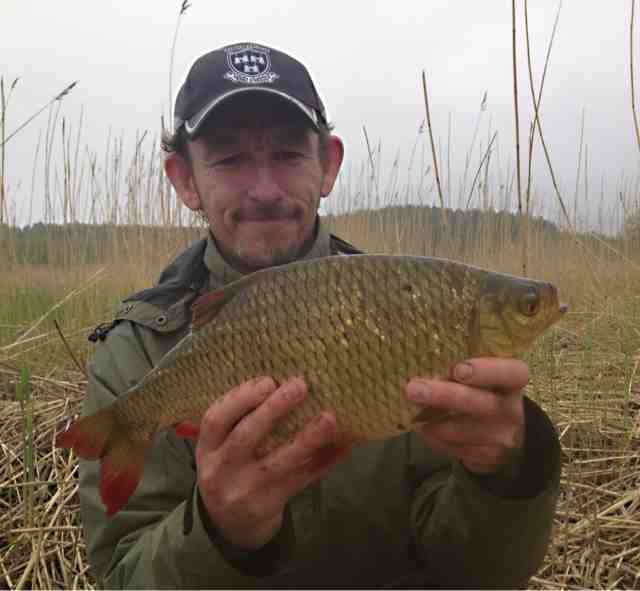 Having tweaked the boilie rig to an inline lead with a short hook length and short two inch bolt set up I was delighted to hook and land a Bream on the boilie, my first fish on the method. This told me the rig worked and gave me confidence in its ability to catch fish. A short while later the legered worm and sweetcorn rig, now a helicopter rig, registered a very gentle bite. A good tussle followed and soon a huge Rudd broke the surface. I was elated to register a new personal best of 2lb.5oz. I photographed it and slipped it backed, a very satisfied angler. An hour later, another 2lb.1oz specimen came on the same rig, an amazing turn of events. Quite incredibly, the boilie rig then screamed off and another huge Rudd resulted, I was incredulous as the scales went to 2lb.7oz! My personal best gone after a half an hour! 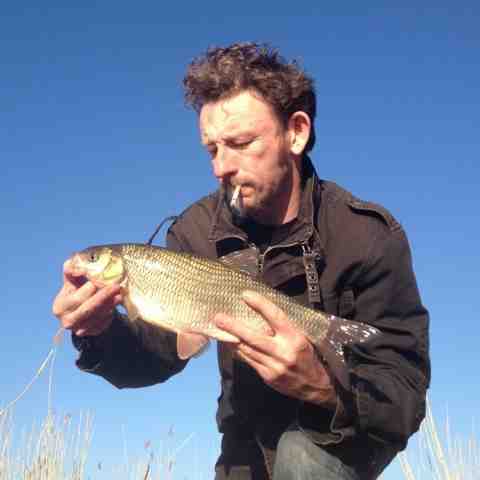 2lb.5oz, what a cracking Rudd! An hour passed, during which time I briefly connected with two fish that shed the hook on the helicopter rig. Having three two pounders in the bag it couldn't really hurt too much and I was on cloud nine. 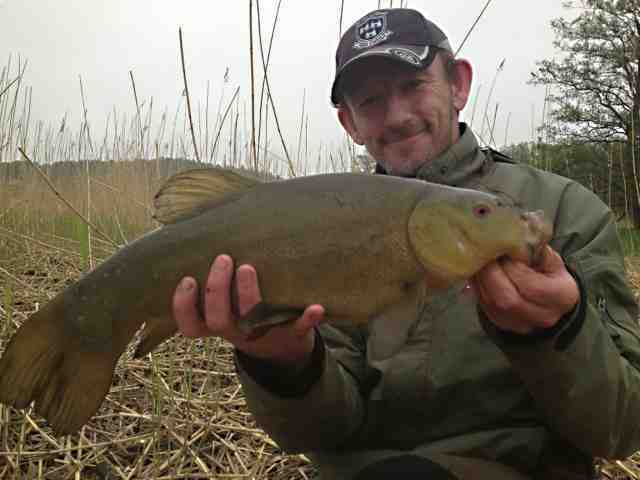 Then the boilie rig went again and a really powerful fish bored off strongly. Eventually it surfaced beaten on the top and my jaw dropped. It's mouth was damaged and healed sometime in the past, this fish was truly massive. I thought it might even go three pounds, it was so deep and heavy. 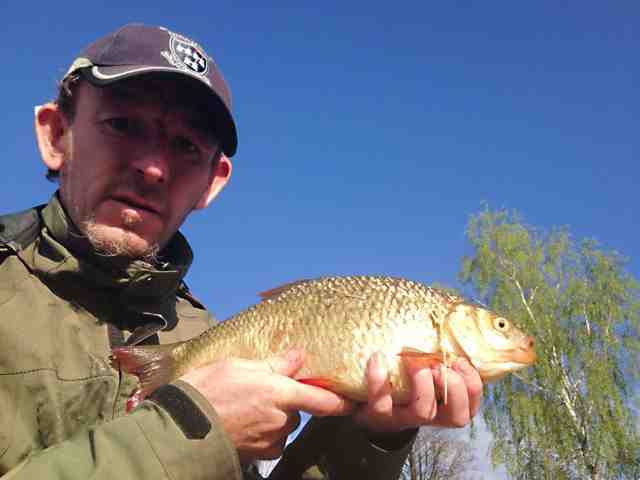 The scales settled on 2lb.13oz, a monster Rudd... 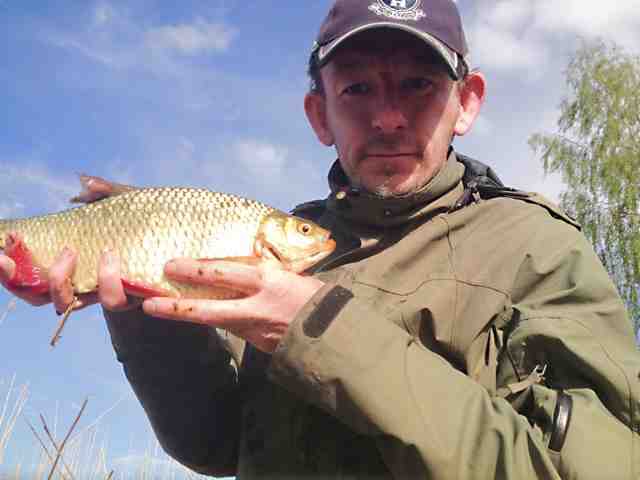 The fish was deep and thickset, I took great care unhooking and photographing it before releasing it. I was quite blown away by this particular fish, which raises questions. Just how big do the Rudd get at this venue? Do these fish remain here all summer? 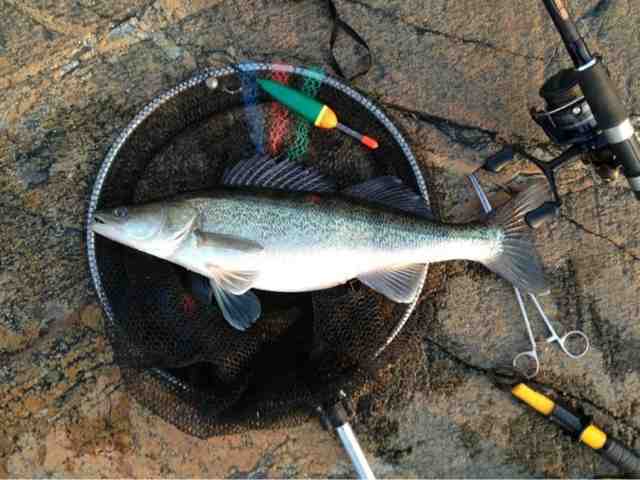 Is a record fish a real possibility? Hopefully, given time some of these questions might be answered. I will certainly be fishing this venue more often. What a day, an unforgettable experience! 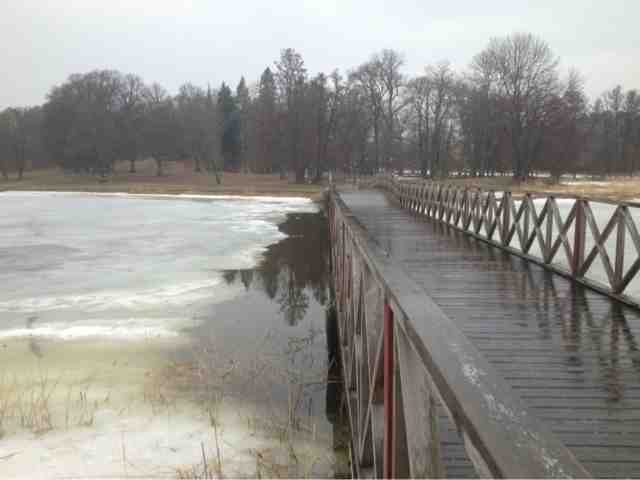 Planning ahead; A recon to a Tench lake! As it happened there were Carp present, several were active right in the middle of the lake, a rather extreme distance to fish at from the shore. Confirming their presence was a bonus though. Also during the day several swims were located and briefly fished to get an idea of depth etc. 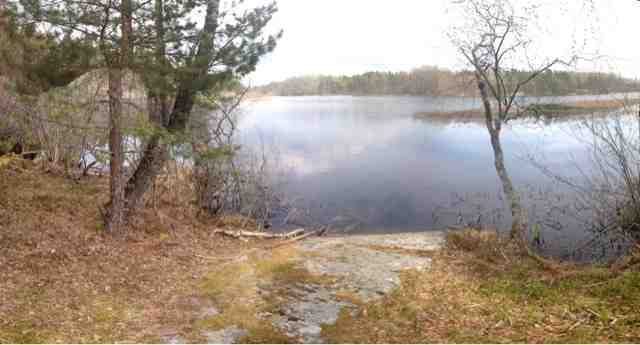 The lake is rather shallow in general, with prolific weed and lily growth. 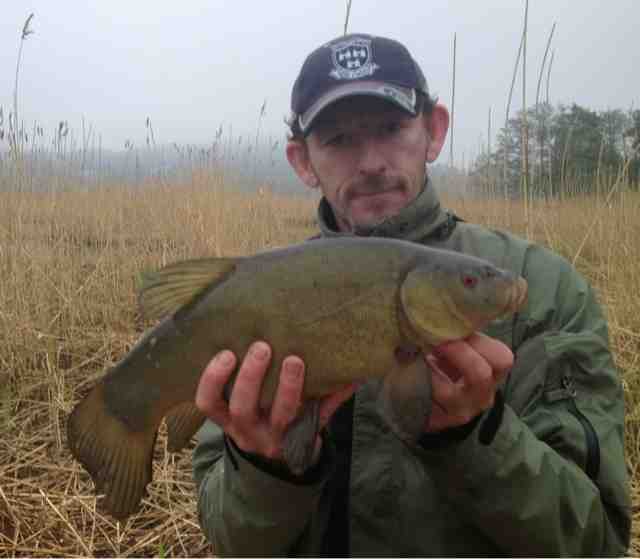 This will require clearing come the summer if we want to catch Tench here. Also this lake is rumored to have another species I would very much like to have a crack at, should they prove to be present, Crucian Carp. A nice looking bay here. 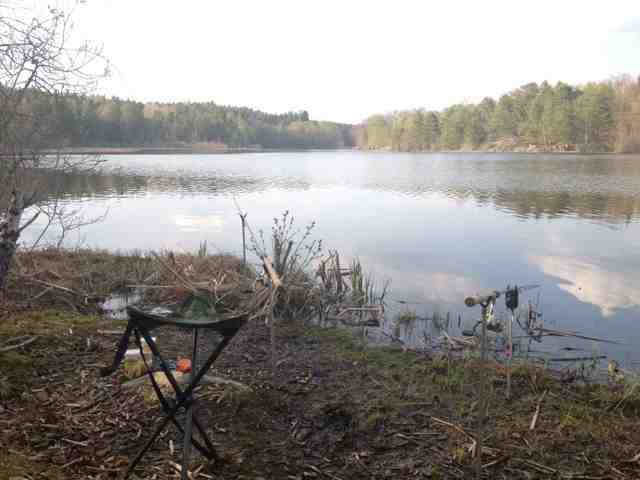 Carp were active in the centre of the lake, upper doubles and twenties. Do these fish use the margins? Perhaps at night? A visit to my main target area today in order to leger for big Rudd. A very educational day for me today. I arrived at 14.10 and carefully set up a running leger, with a half ounce pear lead, bead and swivel to a 14 inch hook link. On the second rod I decided to try boilies. I hair rigged a whole 16mm boilie to a 12 inch braid hook length, a one ounce lead on a safety clip. This was free running and I thought I would tighten up direct to the reel, with the rod on rests. 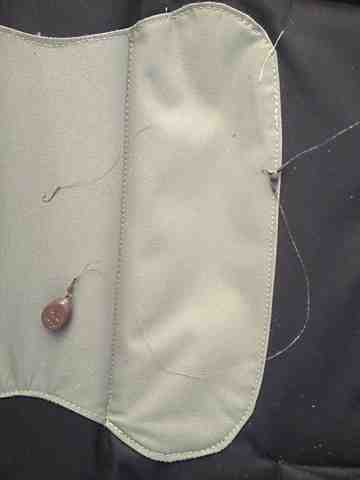 Also utilized were a bite alarm and light bobbin. 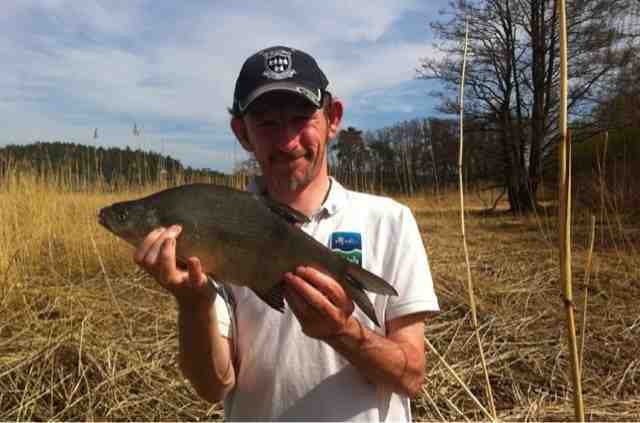 A nice Bream of 4lb7oz. 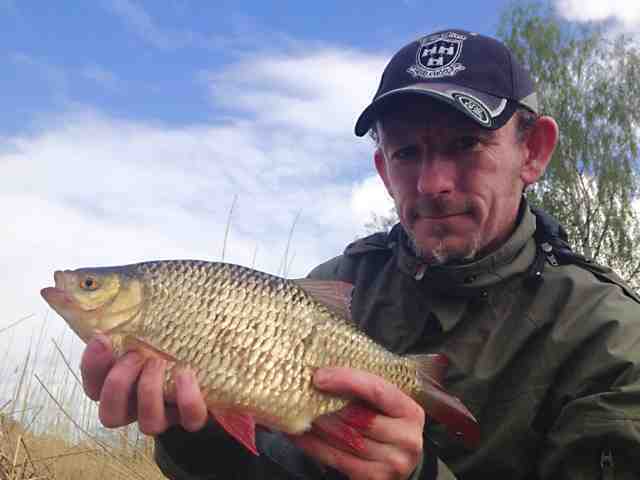 Whilst the smaller fish are a nuisance, bigger fish are more welcome. 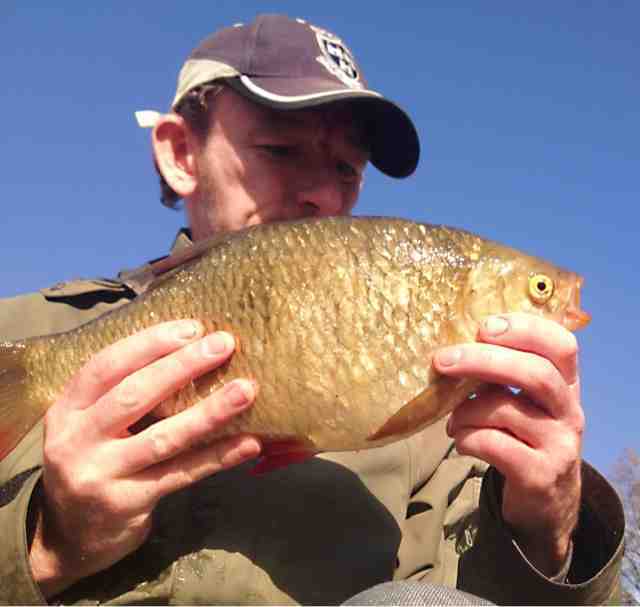 At this time of the year Bream are plump with spawn when female and require careful handling. Later it was still quite busy until about 19.30, though I failed to catch a big Rudd and was left to rue my lost chance. 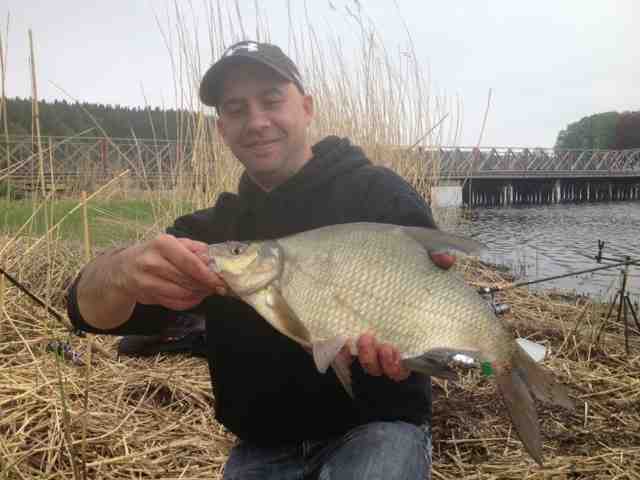 More Bream to 3lb did come, as well as many Rudd to 12oz after them. 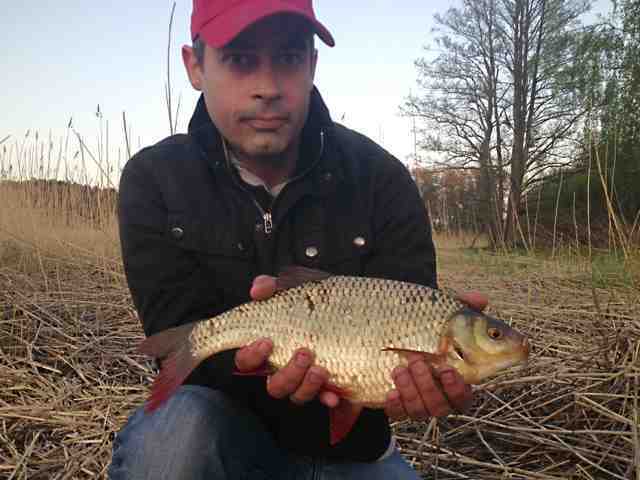 Interestingly the boilie rod was receiving attention from fish, though I hooked nothing. I decided to attach small PVA bags to the hook before casting. Loaded with halibut pellets and boilie fragments. This caused huge amounts of line bites, tugs and activity. By the end I hooked nothing and began to whittle the boilies down in size, figuring they were too big. Activity continued, with more violent tugs but no hook ups. I figured more resistance was required in order to hook the fish, though time was up. 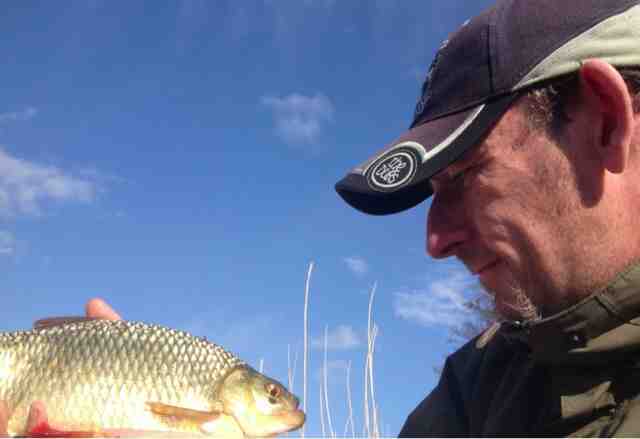 Having seen a huge Rudd get away I decided another session was in order the next day, when I would tweak the boilie rigs..
Andy wil be concentrating in a large Stillwater close by his home, which could prove excellent. It certainly has the potential to produce big specimens, with Bream, Rudd, Zander, Perch and Pike perhaps the most likely species to grow large there..